The announcement comes after months of investigations into the governor's personal and political life that led to criminal charges and a special session to consider his impeachment. JEFFERSON CITY, Mo. – Missouri Governor Eric Greitens announced his resignation in a press conference Tuesday afternoon. Greitens said the last few months have been difficult for him and his family. “Millions of dollars in mounting legal bills, endless personal attacks… designed to cause maximum damage to family and friends,” Greitens said. Greitens was elected in 2016 and sworn into office on Jan. 9 2017. On Jan. 11 2018, Greitens admitted to a 2015 extramarital affair but denied any criminal wrongdoing. Although he denied breaking the law, a criminal investigation was opened by St. Louis Circuit Attorney Kim Gardner on Jan 12. In February, Greitens was indicted for invasion of privacy. The charges were dropped a few weeks ago, but the investigation into the governor's actions continued in Jefferson City, where a special session to consider his impeachment was already announced. The special House Committee investigating the governor released a report about the affair in April on April 11. Less than a week later, Attorney General Josh Hawley announced his office found proof of computer tampering, and charges were brought against the governor in St. Louis. During the special session, Greitens has been subpoenaed to testify before the committee, and earlier Tuesday, a secretive group supporting Greitens was told they must open their books for the special committee. The committee has canceled the rest of their meetings this week. Lieutenant Governor Mike Parson will take over as governor Friday. Who is Mike Parson? What you need to know before he takes over as governor: click here. 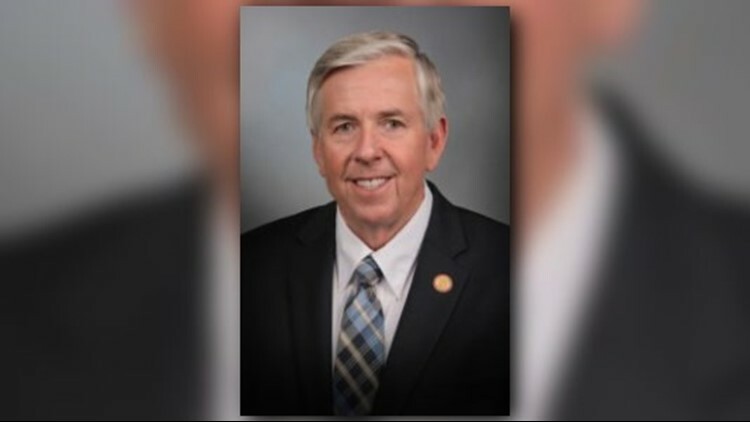 Parson was elected Missouri's 47th Lieutenant Governor on Nov. 8, 2016 and received the most votes of any Lieutenant governor in Missouri history. In February, Greitens was indicted for invasion of privacy stemming from a March 2015 affair. On April 17, Missouri Attorney General Josh Hawley said his office found evidence Greitens used an electronic donor list for political fundraising. On April 18, Greitens' prosecution calls its investigator "flawed." On April 20, Greitens was charged with felony computer tampering. Missouri Attorney General Josh Hawley announced his office had evidence Greitens used an electronic donor list for political fundraising. On May 8, experts examined Missouri Gov. Eric Greitens' cellphone and found nothing. On May 14, the state dropped the invasion of privacy charge against Greitens. A spokeswoman for Circuit Attorney Kim Gardner said they intend to re-file the case and request a special prosecutor, while the defense believes this should be the end of the case. On May 21, a Kansas City area prosecuting attorney named as special prosecutor in Greitens invasion of privacy case. May 22 | 5 On Your Side spoke exclusively to the woman at the center of the case. On May 25, Greitens was subpoenaed to testify before a special legislative committee investigating whether to recommend his impeachment over allegations of sexual misconduct and political fundraising violations. On May 29, Greitens announces he's resigning as of 5 p.m. Friday, June 1. "This is not the end of our fight. I will always be a fighter for the people of Missouri. A great deal of work is left undone, the time has come though, to tend to those who have been wounded and to care for those who need us most - so for the moment, let us walk off the battlefield with our heads held high. We have a good and proud story to tell our children, let’s love them and each other, every day. May God continue to bless you and to bless the great state of Missouri," Greitens said in the final moment of his statement.